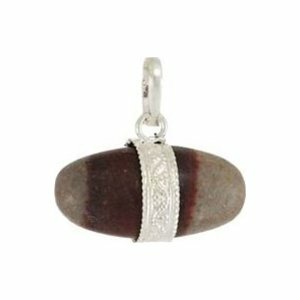 Wear this shiva lingam pendant close, where its high vibration will help purify, cleanse, and balance. Each stone is unique. No cord. 1" x 1/2"